Will it be doom and gloom or championship celebrations? Hopefully our speed from Bahrain remains. 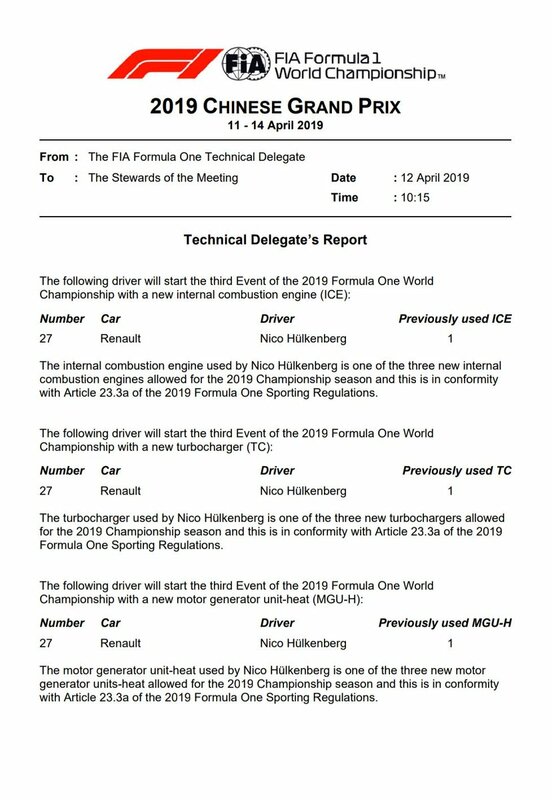 which copes really well already.....but the question is, WHY are we not doing quali laps with the softest tire??? are we THAT confident in our speed and dont' wanna show our hand yet?? Bernie to miss the 1000th race. I'm ready to do some celebrating already! 2 hard luck weekends to start the season - had enough of those. Looks like merc & RB are doing a lot of fiddling with the floors on their cars. I don't recall seeing even one appearance by Bernie in the first 2 races. Have they shown him on the coverage? Nor Niki for that matter. No news on him in the last 2 to 3 weeks. See you guys for FP2. gonna nap. Autosport reporting our race pace is better then the Mercs, we are also using the 'slower' tyre do bodes well. Haven't been keeping up too close on F1, but thought I heard or read that Lauda wasn't doing very well, I do miss hearing his take on everything even though he would really tick me off at times! Seriously if we do not win this race then f1 God's have it in for Ferrari we have a fast car great drivers and a great leader all three ingredients point to race win. On bbc f1 a picture of a concerned vetal with an engineer he must be so hard to please perfection can drive you to distraction seb just release the beast and smile . bottas time on medium or hard? Honda has also changed power unit in #Kvyat's #ToroRosso car after noticing an anmoaly in the data this morning. Bottas lap time was on hard tyres??? 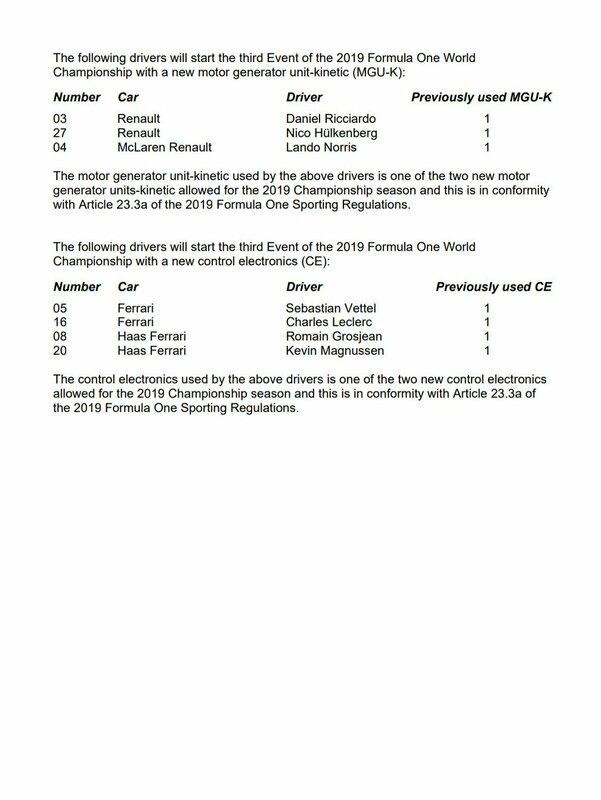 Leclerc was unable to get a clean lap. So more time to come from him. We are faster than Mercedes in S1 and S3, nearly as fast as Mercedes in S2. Till now looks quite on par !!! The strange thing is that it looks like we lose in the 3rd sector with the long long straight. They are hardly showing Ferrari’s on board Laps....!! To beat Mercedes in qualifying, historical trends suggest Ferrari must be faster than them by at least 6 tenths in FP2. Forget 6 tenths, Mercedes is quickest despite that long straight, doesn't bode well at all. I hope Ferrari is sandbagging big time else it will be a Sunday cruise for Hamilton. 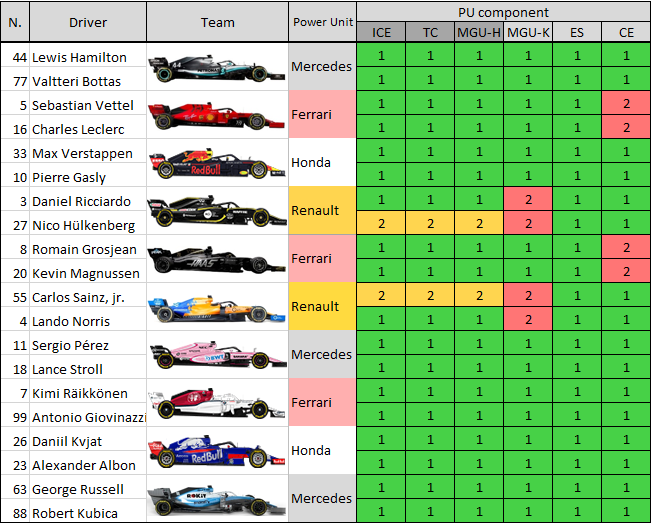 Red Bull fastest in Sector 1, Mercedes 2nd best, Ferrari 3rd best.